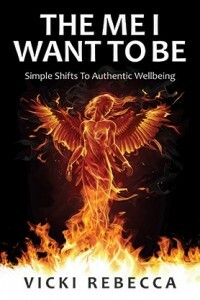 Written from the fascinating must read life and experiences of Vicki Rebecca, ‘The Me I Want to Be: Simple Shifts to Authentic Wellbeing’ fuses hypnosis, Neuro Linguistic Programming, meditation and ancient Egyptian wisdom to transform readers’ lives through true authenticity and fulfillment. 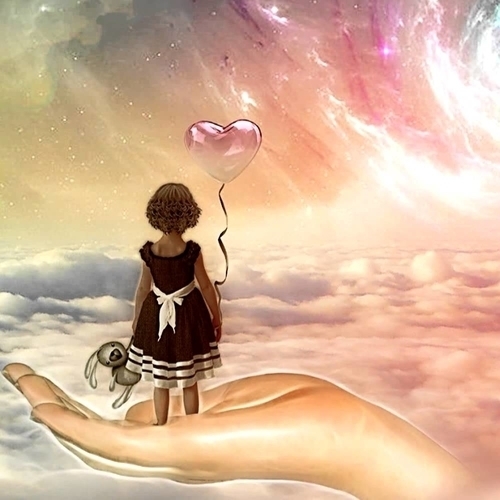 It’s an unlikely mission for a woman who used to be a Page 3 model and drug addict, but it just goes to prove – ancient wisdom and psychotherapeutic concepts hold the power to allow anyone to emerge victorious. You will be guided through managing everyday pitfalls using the same insights and practical application Vicki Rebecca has successfully used for decades to help clients cast aside the negative experiences that produce unhealthy habits and behaviours. 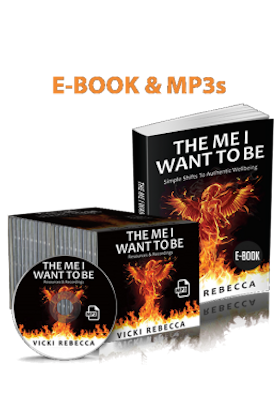 The Resources and Recordings associated with The Me I Want To Be include a total of 21 MP3s amounting to over 10 hours of exercises, meditations and deep relaxations that will show you, exactly, how to be, The Me I Want to Be. Recorded by me for you with love. As interesting as the book may be, the gold is in the support behind it, the how to be The Me I Want To Be and I’d like to make sure you have it at your fingertips. So if you didn’t purchase downloads along with your book here is your onetime opportunity to buy the full suite of Resources and Recordings.